the basic philosophy of knitting is patient-patient-patient and more patient:P after finishing your knitting, you’ll amazed with how far you went with things. i’m a mother of a very active little boy and trying to put all my life together right now after so many things that already passed. 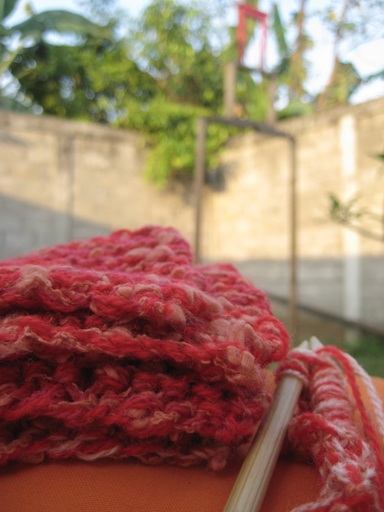 knitting teach me the beauty of being patient and hard work. the boy model seems to have a nervous grin. 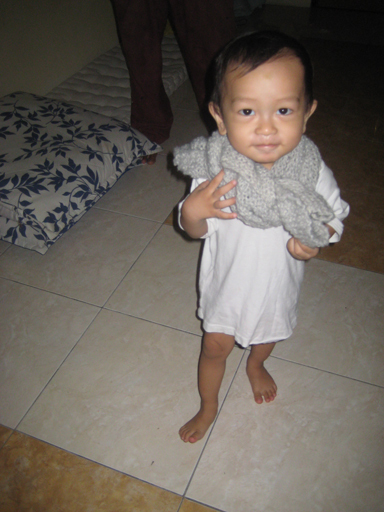 i made this little grey shawl for him. 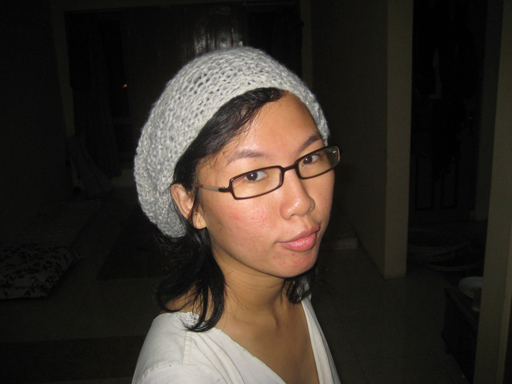 the first knitted thing i ever made. using them as a head band. 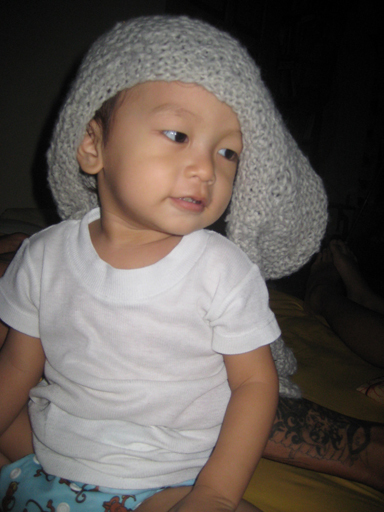 my knitting still sucky, but well my boy loves playing with it. this one is mine. my current favorite. 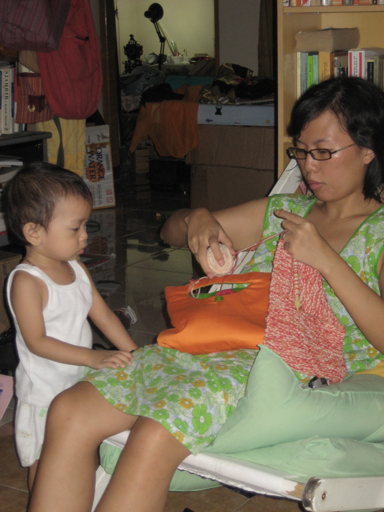 boy looking at mama’s knitting. i’m so ibu2 in this photo. i love the colors above. 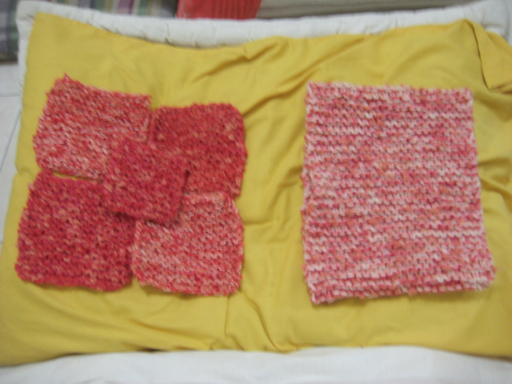 making coaster and a head piece for bhumy from left over yarns. 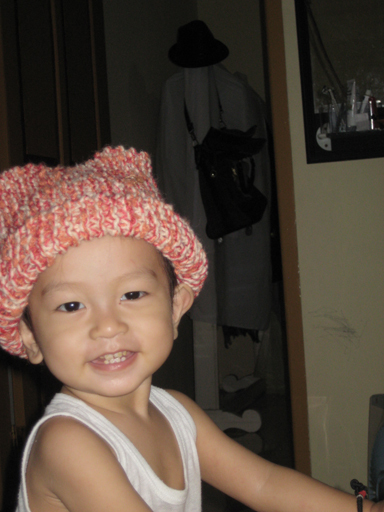 bhumy trying his new knitted hat. is the shape too weird? 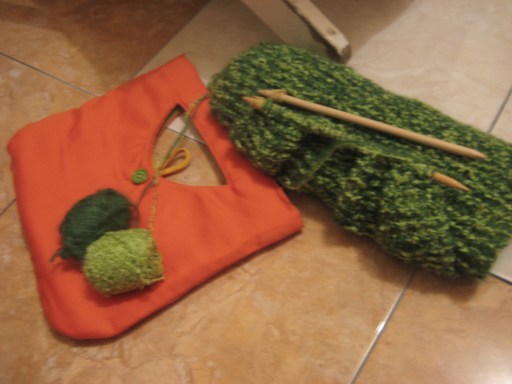 anyway, before i never thought that i would love knitting. it’s a good thing to do when i’m stressed out somehow. it calming and it deconstruct your mind somehow in the process. i haven’t had chris’s and juli’s shawl picture, i have to ask them to photograph them for me. btw, juli’s mother died a couple weeks ago. i even haven’t started to knit for her, but juli’s shawl came in just before that moment. i hope it warm her and chris. made it with my heart. 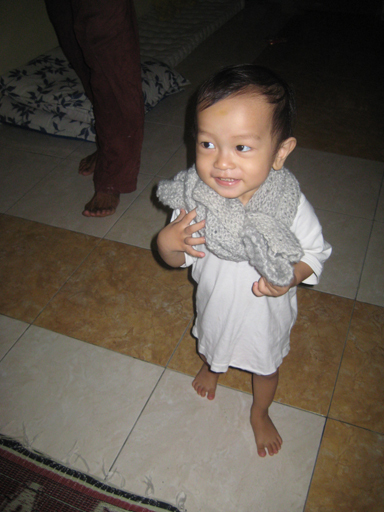 i’m making a shawl for ratih and eka. kinda slow, because i have so many works and my thesis dateline. oh well, i’m still drolling to buy more yarn thought.